With 13 active chapters and 1 active colony Tau-Epsilon-Phi continues to be one of the largest American fraternities. The organization has headquarters in New Jersey and Voorhees. Tau-Epsilon-Phi fraternity is extremely popular among the colleges and universities on the East Coast of the United States. The members of Tau-Epsilon-Phi fraternity are focused on "friendship, chivalry, and service." Tau-Epsilon-Phi fraternity is open for people of different religions and ethnicities. 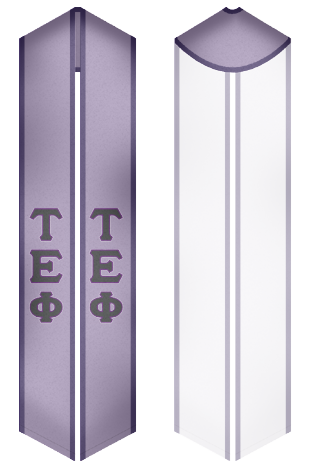 At our website students can choose and order high quality stoles that they can wear on academic, and athletic, charity and social events organized by Tau-Epsilon-Phi fraternity.